Before I started my internship at XploreAsia, I wanted to see more of Asia. 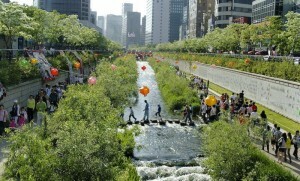 First on my list was Seoul, as South Korea had been on my bucket list for the past few years. As a girl who loves fashion and makeup, the trends in South Korea have grabbed my attention. I’ll also admit that I’m a bit of a pop culture junkie, and consequently a fan of Korean dramas and K-pop. 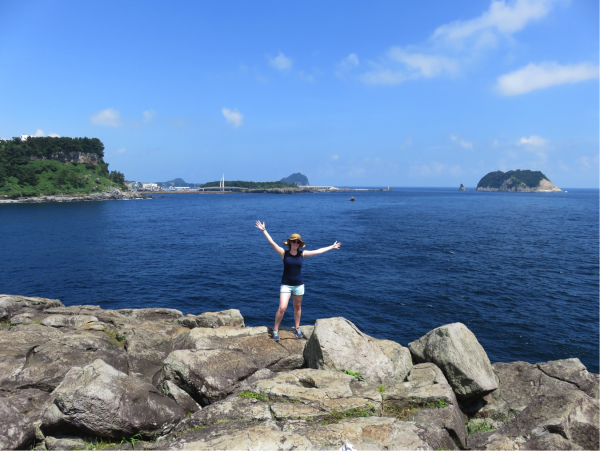 After seeing so many beautiful images of South Korea while watching dramas, I couldn’t wait to see this amazing country in person! Before arriving, I was a bit nervous about getting around Seoul as a solo traveler, as I don’t speak any Korean. As soon as I got to the airport, however, these fears were calmed. The airport was organized intuitively, and signs in English were everywhere. As I took my seat on the cleanest train I have ever been on, I felt the joy and peace that comes with traveling to a new country that just feels “right”. 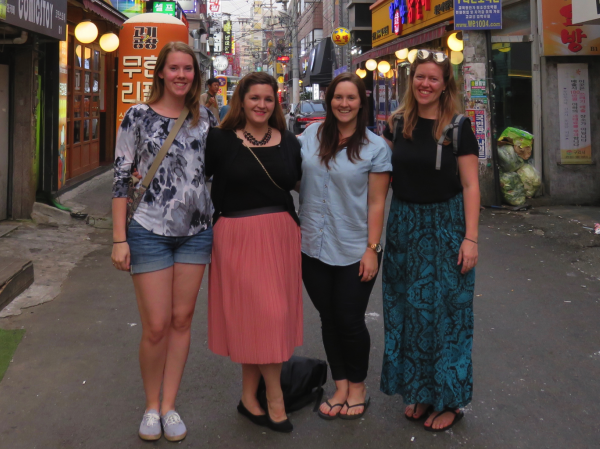 I made my way to Hongdae, a neighborhood known for its nightlife and hip restaurants and shops. I quickly found my hostel, and settled in for breakfast. Soon after, a group of people came down and we started chatting. I found out they were all teaching English in South Korea, and were here for a holiday weekend. They were some of the nicest people I have met in my travels, and they were even kind enough to invite me to join them for the day. We then headed to lunch at a Korean-Mexican restaurant. It may sound like a strange combination, but the kimchi burrito I had there was one of the most delicious things I have ever eaten. 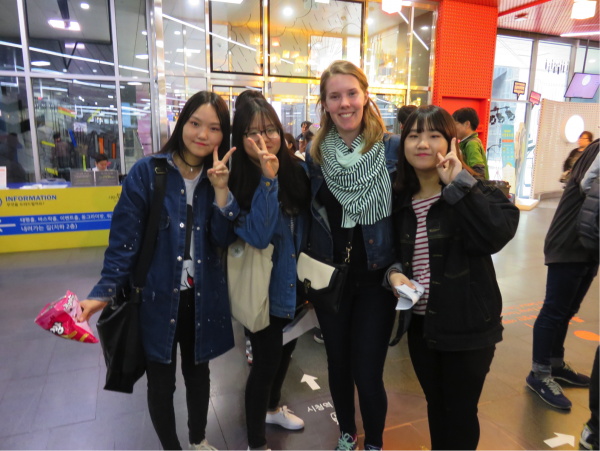 As we ate, my new friends told me about their lives as teachers and how they had all fallen in love with South Korea. Almost all of them mentioned staying longer than their original one-year contracts and a few were discussing the possibility of staying there for the next 5 years. They talked about their placements in the city of Busan and smaller towns, the hikes they went on, and their trips to the lovely coast. Listening to them, it was hard not to be inspired. 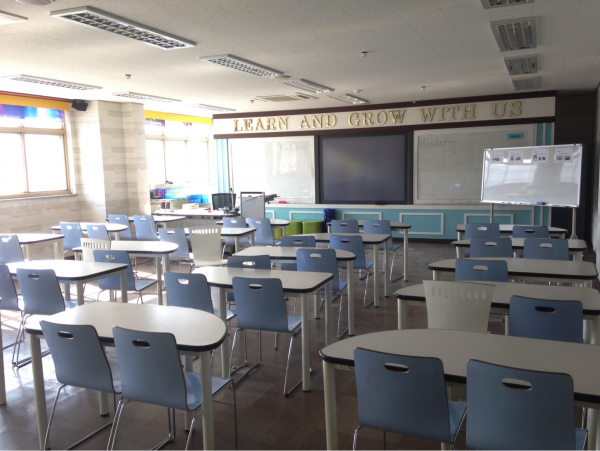 I started to think that I might like to teach in South Korea in the future. To finish out the evening, we did some shopping and exploring. One of my favorite things about Seoul was that shops are everywhere, including at train stations. Walking to your train, you’re bound to see some adorable tops and skirts. We wandered and browsed the stores, including Western shops like Forever XXI. Done shopping, we walked down a bustling street filled with street vendors selling everything from meat on a stick to oddly shaped ice creams. I found myself quickly falling in love with this place. The next day, we grabbed some delicious green tea lattes then headed back out into the city. Getting on the train, one of the guys I was with had some difficulties with his transit card. A Korean woman walked him over to the attendant, and stayed with him until it was worked out. I was shocked by this level of kindness. Back in Chicago, a similar situation would have most likely resulted in the person in line behind him getting annoyed. To see a stranger jump in to help without a moment’s hesitation was a pleasant surprise, especially in such a large city. In the afternoon, we went to a local park. I love when cities have both skyscrapers and green spaces, and Seoul fit the bill. The park was as pristine as I had come to expect from South Korea. We walked by the water, and headed towards a bridge where there would later be a water show. As the sun began to set, we made it to what would be my favorite section of the city. 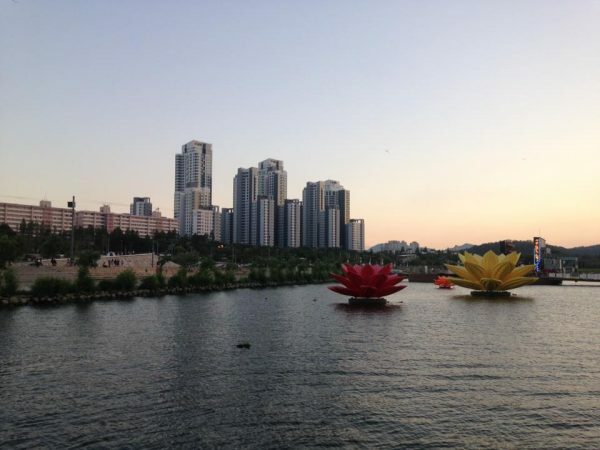 Large flower sculptures sat on the water, with the skyline as a perfect backdrop. We checked out the nearby buildings, featuring all kinds of restaurants and souvenir shops as we waited for the show to start. The show itself, while nice, wasn’t much to see. However, the night was still great. Being in this beautiful new place, with these cool new people, was more than enough. My new group of friends left the next morning, so I spent my last day in Seoul exploring on my own. 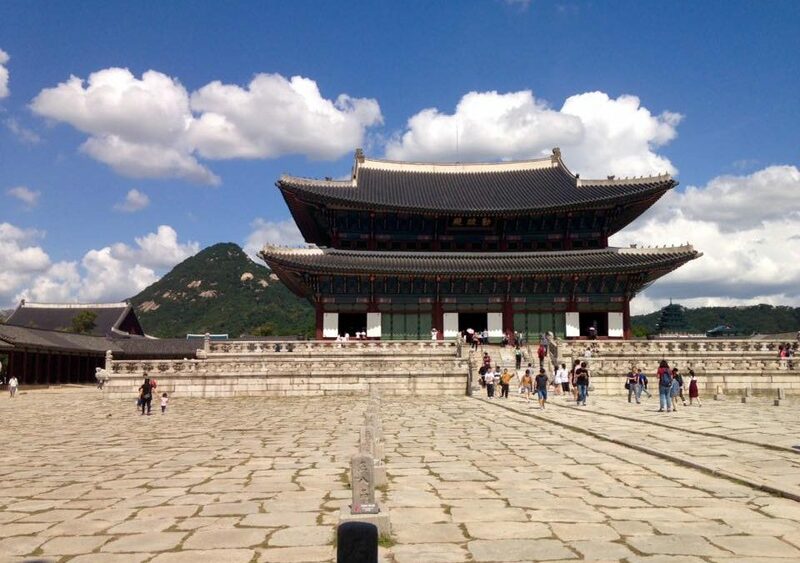 After hearing from multiple people that it was a must-see, I made my way to Gyeoungbokgung Palace. It more than lived up to the hype. 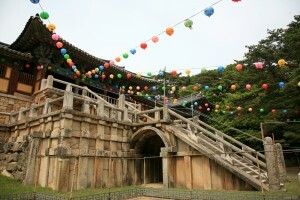 The palace is made up of multiple buildings, all built in a classic style of Korean architecture. The grounds are a joy to walk around, taking in the beautiful mountain views and peaking in the windows of different buildings. 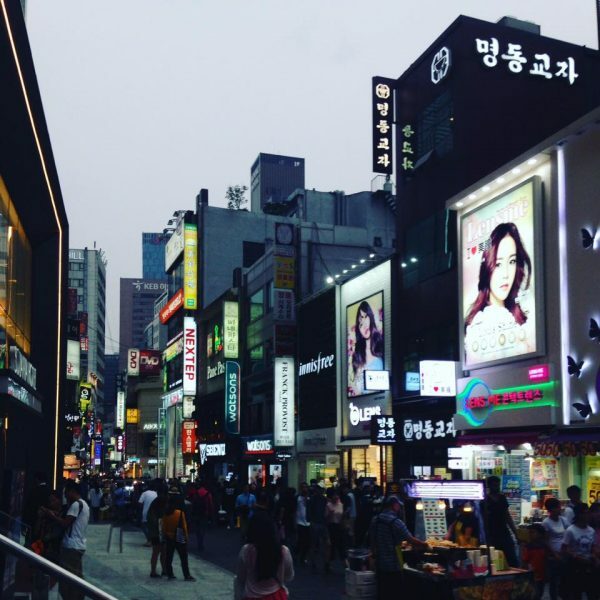 Done with the palace, I headed to the area of Ewha, which is located near a women’s university and consequently has some amazing shopping. I browsed shop after shop, and had to be careful as I easily could have maxed out my credit card there! I purchased some nice sheet masks for about 1 USD each, and received some free samples of perfume. I stumbled upon one particularly nice clothing shop, and found an adorable button-down skirt. The shop attendant, who was wearing green colored contacts, asked if I needed any help. As we made eye contact, she smiled and exclaimed, “Green eyes! So lucky!” She showed me a few other cute items, but I ultimately settled on the skirt. She looked at me, and as if considering, said, “For you, because you are so pretty, 10% off!” While I’m sure she gives that discount to everyone, it made my day. I wandered the neighborhood in search of somewhere to get dinner. I ended up stopping in a cute little diner. I ordered some bibimbap, a dish consisting of a bowl of rice and veggies topped with a fried egg. It is both delicious and one of the cheaper meal options available in Seoul. As I fumbled with my chopsticks, I reflected on how lucky I was to be there. 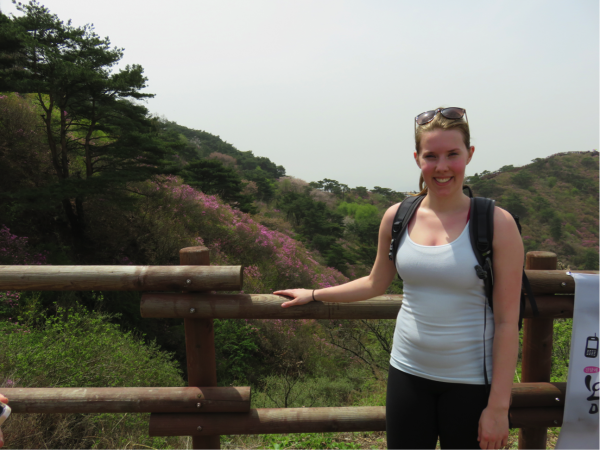 I had made it to South Korea on my own, and there I was, enjoying a nice meal in this country I wasn’t sure I would ever be fortunate enough to visit. My only complaint about my trip was that it was much too short. 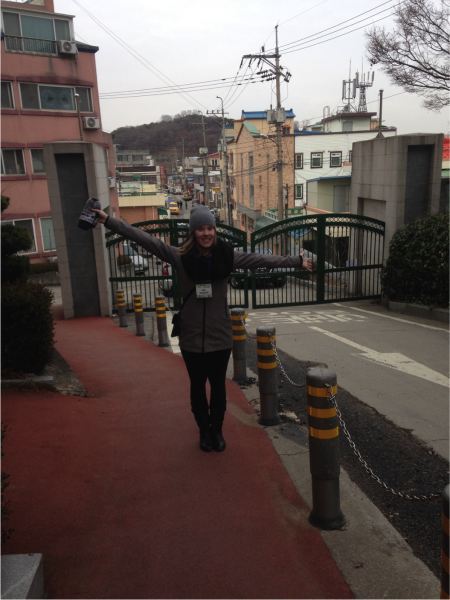 I vowed to myself that this would not be my last time in South Korea, and to look into teaching there. I knew I could easily spend years experiencing this amazing place and culture that I had so quickly fallen in love with. Most were shocked when I told them. To be fair, I had only really mentioned about living abroad for a few months and never really knew when, where, or how I wanted to go. I had just completed my business degree and was now talking about moving across the world to teach English. So when, on a Friday evening in July of 2015 I had made the life-altering decision, this was the reaction I got. 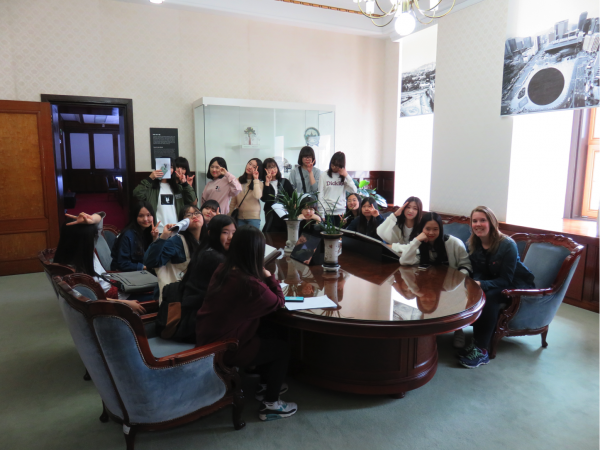 My first day in South Korea at the EPIK Orientation (February 2016). During the EPIK orientation in February I heard it was most likely I would be placed in an elementary school. However, the fateful day we received our contracts I read: Eoram Middle School. I was now the only staff member to teach all 24 classes in the school (nearly 900 students), each once a week—with no prior teaching experience. To say this was overwhelming would be an understatement. Even with a TESOL course and orientation under my belt there was no way to anticipate how I would feel standing in front of a room full of middle-school aged children and attempting to teach them English. In spite of everything, even by the end of the first week it felt right. Each day and week brought something new. Some classes I walked away feeling great because a new game grabbed their attention, a shy kid was able to speak in front of the class, or I was able to make a joke that everyone understood. However, other classes I walked away feeling defeated because troublemakers acted out, a lesson that worked with other classes failed miserably, or I was frustrated that I couldn’t get their undivided attention. Every fellow English teacher I have spoken to has bad days (they happen) but we never go through it alone. Groups online were quickly formed to share stories and advice among foreign English teachers. These groups have been a huge support and a great resource for lesson content and feedback on what works in the classroom. Some of the close friends I’ve made in Korea, fellow EPIK teachers. (Left to Right) Myself, Caitlin Brown, Erin Karp, Grace Taylor. There are also co-teachers and school staff that ease the burden in the classroom. I work with four different Korean English teachers and my experience with each of them has forced me to overcome personal shortcomings. Teaching with them is showing me how to be vocal about what I need, to be confident in my abilities, and to be a leader in the classroom. Dinner with my Korean English teachers. As personally challenging as it is to teach with no prior experience, the students make it worthwhile. It would be nearly impossible not to fall in love with the kids in this country. On my first day of school I remember being showered with bows and “I love you teacher” in Korean (a very quick way to a teacher’s heart). Eoram Middle School Grade 3 Field Trip to City Hall and Deoksugung Palace, Seoul. When I was young, if you asked me what I wanted to be when I grew up my answer was always one thing: a teacher. So, in some respects my drastic decision made sense. I loved to learn and I loved to teach others—in any capacity. 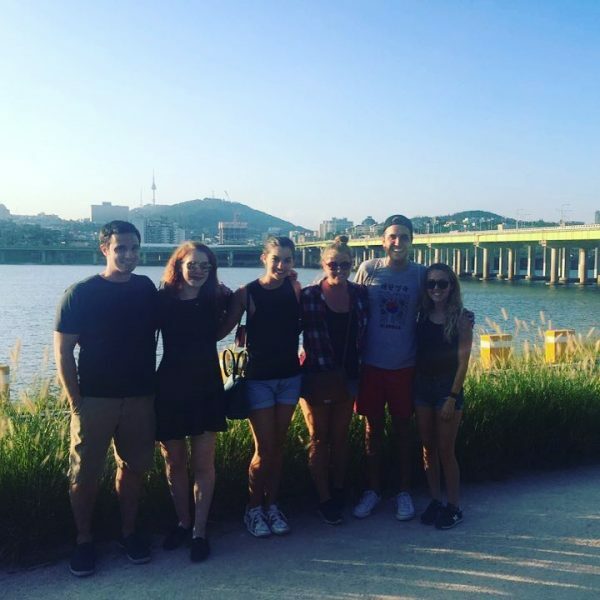 Although teaching English abroad may not be something I continue doing it has been a catalyst for personal growth, improving communication skills, and a deeper understanding of the world. Moving to a foreign country and into a new job on my own pushed me entirely out of my comfort zone. Growing up things came easy to me; I was good at school and dance and I always excelled at work. But teaching English isn’t easy and isn’t something I am naturally good at. Let me rephrase: I don’t feel naturally good at it. Work is challenging and tests me everyday but I know it is making me a stronger person. It is showing me how to be compassionate, a good listener, patient, and confident. Teaching demands these qualities and therefore has made me grow. 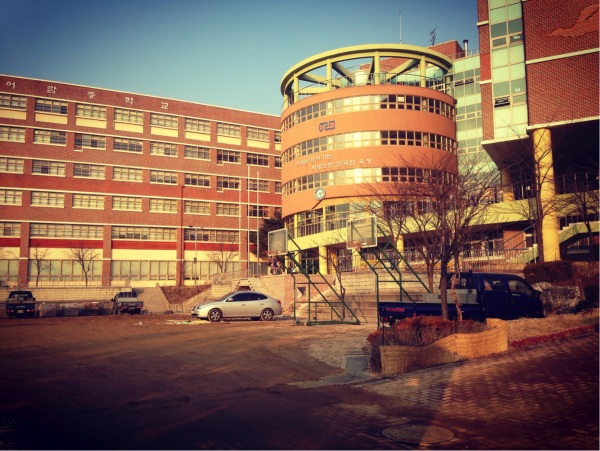 Teaching in Korea has taught me a great deal about communication. Being immersed in a different language has taught me to observe. I have had moments where I feel illiterate; I don’t understand any written word and rely entirely on facial expressions and gestures. I have had moments where I feel deaf because I don’t understand anything being said and resort to sign language or fear trying at all. Communication takes patience and my experience in Korea has improved how I communicate with my friends, family, co-workers, and students. I now know how difficult it is to learn a language and how intimidating it can be to try and for this reason I respect my students even more. Now living abroad I see the world in a new light. 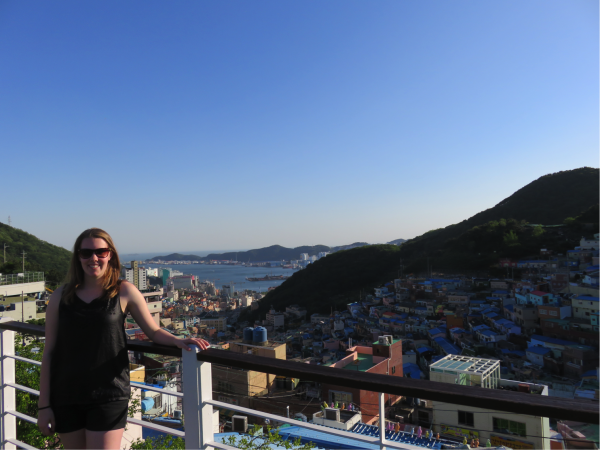 The moment I opened myself to Korea’s culture, lifestyle, and community I realized just how diverse the world is. We don’t all live with the same privilege, in the same circumstance, or with the same opportunities. Even in my students I see the range of ability, work ethic, and opportunities to live abroad affecting their school achievements. I meet fellow teachers and expats with equally challenging and unique pasts but all with the same drive to explore the world and themselves. I have learned to be more accepting of difference and things I don’t yet understand. 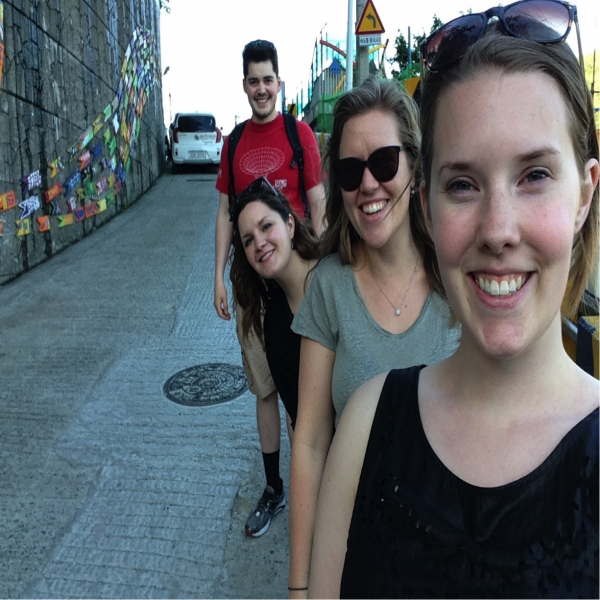 (Left to Right: David McDonald, Caitlin Brown, Grace Taylor, myself) In Busan for holidays. 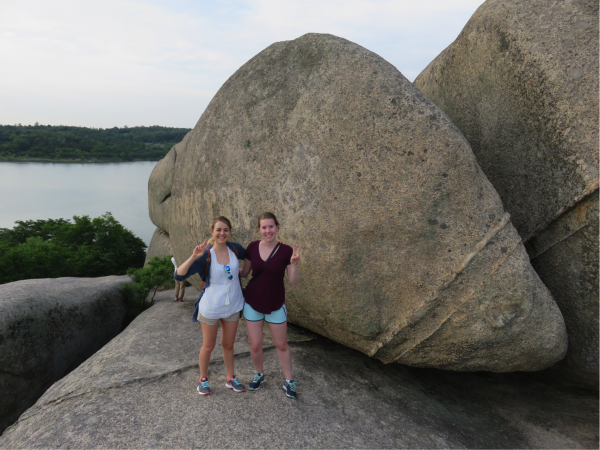 Emeline Marrier d’Unienville and myself in Sokcho. Because it is important to experience new cultures, to not only learn about others but about yourself. Because education matters and by being a teacher I can be a positive influence for the next generation. This experience has changed everything, in the best ways possible. 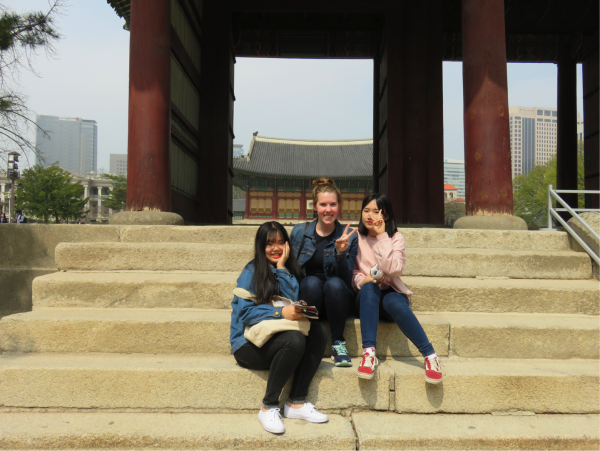 For more information on the Teach South Korea program follow the link below! 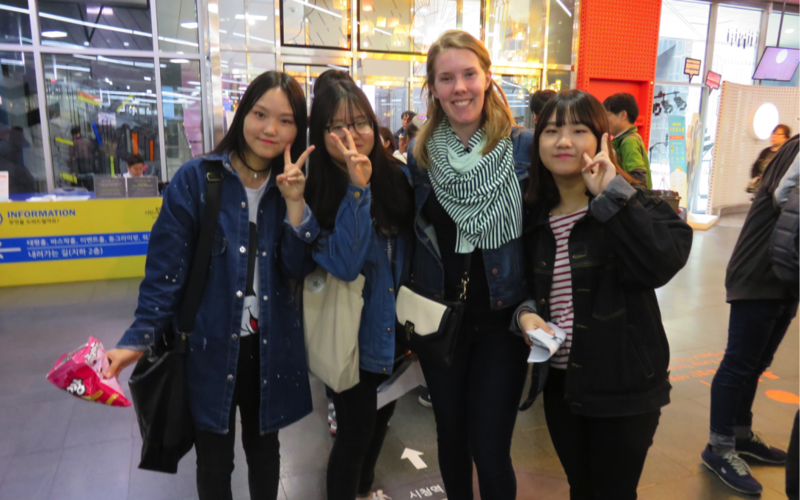 Teaching abroad can be a great chance to be immersed in a nation and culture different from your own, and South Korea is a great place to do so. In addition to great benefits including a great salary and free accommodation, it provides an opportunity to experience one of Asia’s most unique cultures. South Korea is a modern, thriving nation built on a mixture of contemporary consumerism and traditional Confucianism underpinned by a strong sense of national identity. One of the most westernized countries in Asia, South Korea stands apart from many of its neighbors in its shedding of historic Chinese influence (though it still maintains a strong presence). From the cuisine to the technology, the many facets of culture are at once uniquely Korean and drawing from influence around the world. The energetic country has a lot to offer for almost any taste and mindset. There is a popular folk song in South Korea called Arirang, pervasive to the point where it’s considered the nation’s unofficial national anthem. The song has stayed with Koreans for a long time due to its malleable form, in which the singer can add his or her own words to make it into their own unique expression. In 2012, it was added to UNESCO’s Representative List of the Intangible Cultural Heritage of Humanity, in which they write of its flexibility: “The verses which are sung in connection with this chorus range through the whole field of legend, folklore, lullabies, drinking songs, domestic life, travel and love.” The culture of South Korea, in many ways, follows suit; Koreans have adapted many of their traditions to their new modernized, industrialized nation, keeping up with the world while maintaining their own unique identity. This tendency is, perhaps, most apparent in their cuisine. While Seoul and other major urban areas offer a host of world-class international restaurants (along with plenty of casual chains), Korean cuisine is a major attraction in and of itself. The fundamental dish to all South Korean meals is kimchi, a spiced fermented cabbage that’s become a national icon due to its immense popularity in the country. Many foreigners come to love the unique taste, while others are turned off by its strong flavor. 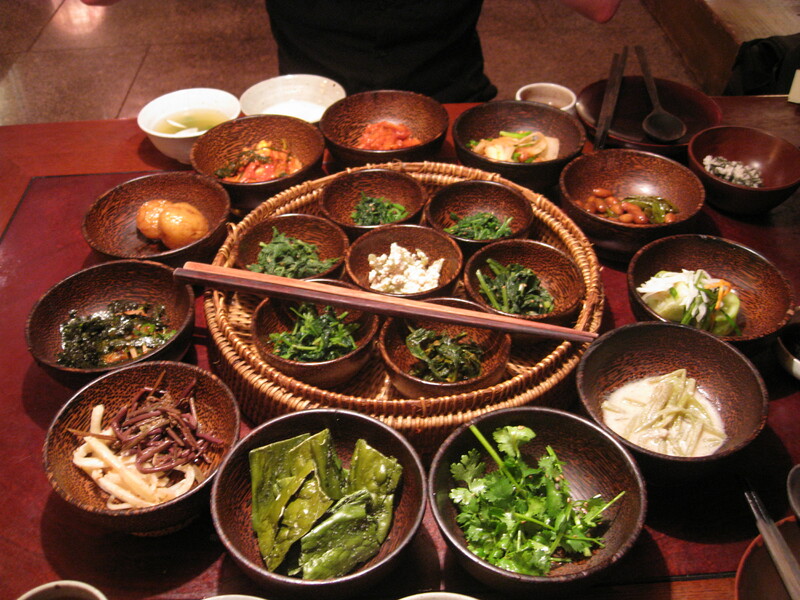 Regardless, Korean food has a lot of variety; traditionally, all dishes in a Korean meal are served at once and there are generally a generous amount of side dishes. Whether it’s bulgogi, a dish of grilled marinated beef cooked in front of you or bibimbap, a mixed vegetable, egg, meat and rice bowl, there are a great many fantastic Korean foods to try. Places like Seoul’s Gwanjang Market, hosting over 200 food stalls, are great venues to try out all that South Korean cuisine has to offer. Mixed into South Korea’s contemporary cities are vestiges of history, like Gyeongbokgung Palace and Changdeokgung Palace which are both located in Seoul, the first two of the Five Grand Palaces built during the Joseon Dynasty. There are also less grandiose offerings of Korean tradition; Hanok coffee shops are located throughout Seoul, small cafes built in the elegant style of traditional Korean architecture. Of course, South Korea features impressive modern architecture as well, like the N Seoul Tower. Sitting on Namsan Mountain, the tower is the highest point in Seoul and stands as a shining beacon over the city at night. 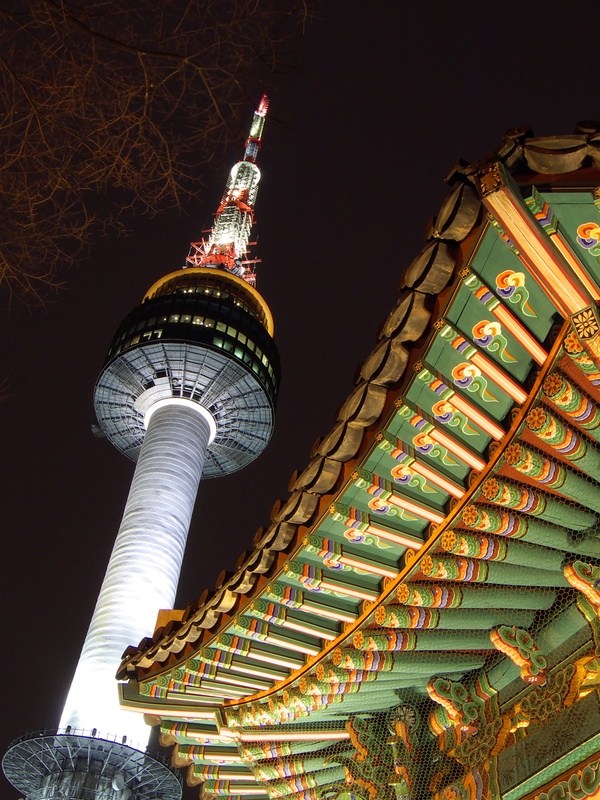 Seoul is the first city that comes to mind for most foreigners that think of South Korea, but the country has a lot to offer. The port city of Busan is nestled between mountains and the coast and offers fish markets to stroll through, high-end cafes and tent bars to lounge at and a great many opportunities to hike and see Buddhist temples. For those interested in history, the city of Gyeongju will hold a great deal of interest; known as ‘the museum without walls,’ Gyeongju has more temples, pagodas, tombs, burial mounds and various ruins from South Korea’s middle ages than anywhere else in the nation. 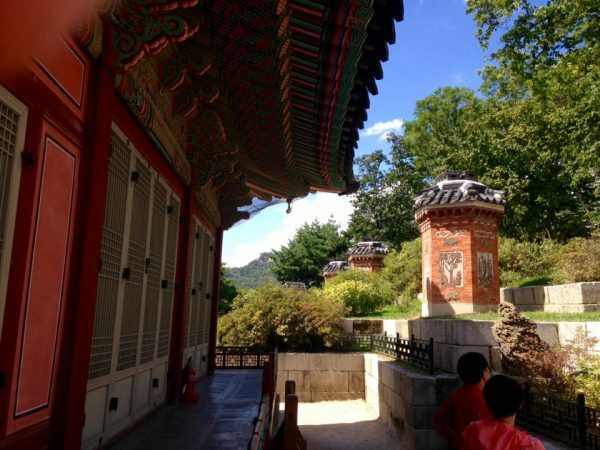 There are many places to see throughout South Korea; wherever you are, the country teems with history and possibilities to be discovered and explored. There are few ways to see the country so completely or in as meaningful a capacity than as a teacher. Getting the chance to educate in this growing nation is a wonderful experience where you’ll meet countless new and friendly people, see locales you’d never dream of, and make a real impact in one of Asia’s proudest nations. 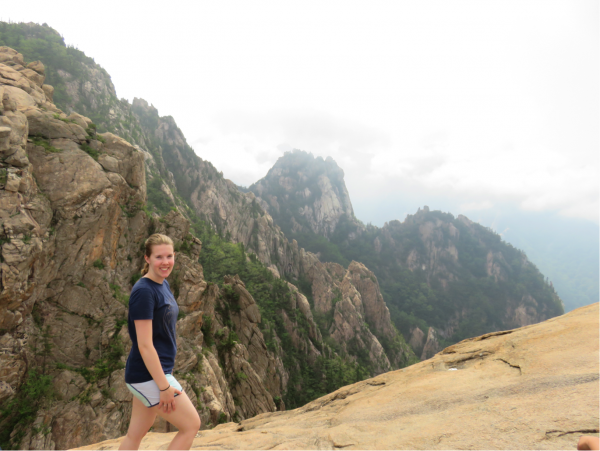 If you’re interested in teach abroad, perhaps South Korea is already on your list. Head over to our South Korea page for more information on how you can get started! 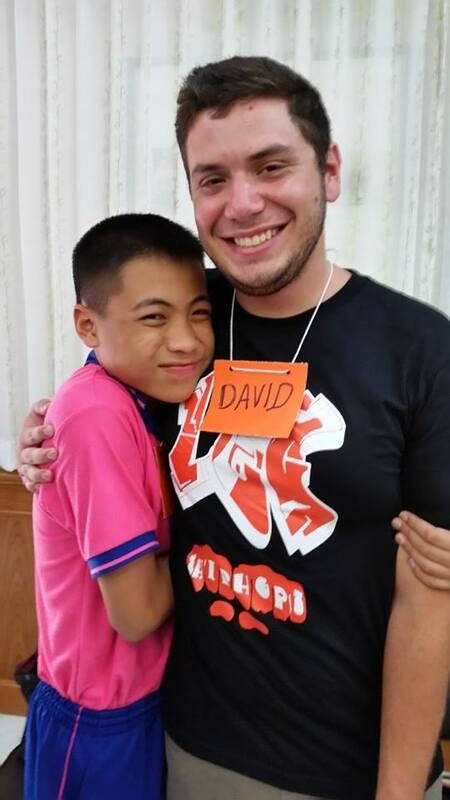 David has recently returned to the States after his internship with XploreAsia. David formed an invaluable part of the research/writing team that you will be seeing a lot more of in future. 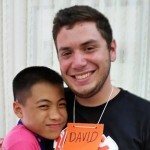 Currently studying at DePaul University, David hopes to further his career in writing. To keep up to date with all of our future blog content please signup here!